We are a Worcester company at the forefront of designing and manufacturing specialist educational audio equipment. With over 25 years experience in the Audio Visual industry we specialise in systems which are designed and installed to meet your specification. All key stages from 1-4 will benefit from the technology we provide. 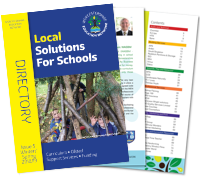 Worcestershire Education Network (WEN) is a trusted network of educators, suppliers and manufacturers who specialise in delivering high-quality and bespoke solutions to schools - Call 01905 780 059 for help finding local suppliers.